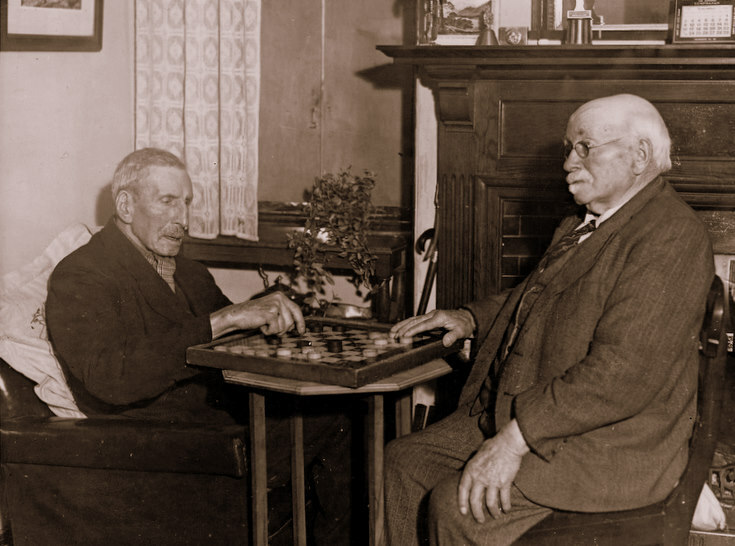 Two friends enjoying a contemplative game of draughts. On the left is J. Gilbert (formerly of Gallowhill?). See also image number 1213.